Improve your appearance with a plastic surgery result that looks natural. Years of experience in minimally invasive and surgical interventions in the face and body result in outcomes that are beautiful and predictable. Board certification in Plastic Surgery assures you are in the right hands. Techniques pioneered in Southern California by leaders in the field are now available close to home. Many men and women have a desire to change something about their physical appearance. If you are seeking to enhance your looks through a plastic surgery method, then count on the expertise at Skin Care Doctors. Dr. Camp is dedicated to helping help you make an informed decision before you pursue any reconstructive surgery. Breast augmentation is one of the most common cosmetic surgical procedures among women in the nation. Whether they simply desire a fuller look or to make their clothes fit better, it is normal for women to want to enhance the size and shape of their breasts. We understand how you can become frustrated with your appearance and would want to make a change. Dr. Camp and his surgical team are here to help. 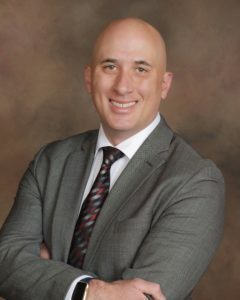 With more than 5 years of experience, Dr. Camp is exceptionally insightful when it comes to counseling you dealing with issues of a poor self-image. You can rest assured that Dr. Camp will do everything possible to find you a solution through compassion and personalized consultations. Dr. Camp, the son of a nurse and a Baptist minister, has chosen a fusion of the ministry provided by his parents as a guiding principle for his practice. His goal is to provide state of the art surgical and medical services, as well as serve the patient in a low stress, reassuring environment. Dr. Camp’s specialty interests are in soft tissue reconstruction after removal of skin cancers, breast reconstruction after mastectomy, breast augmentation, tummy tuck, face lift, and body contouring. Removes excess sagging skin from the back of the arm. Removal of excess breast tissue. Breast is lifted and reshaped. Modification of previously performed reconstructions. Covered by insurance in the case of cancer diagnosis. Removal of excess skin from abdomen, flanks and back. Improve abdominal contour, lifts the buttocks and improves thigh contour. Suction removal of excess deposits of fat. Minimal scars (very small incisions). Usually done in clinic with numbing medicine. Lifts and shapes the buttock, and eliminates sagging skin on the thighs. Removal of stretched abdominal skin. Tightening of the abdominal wall.